After her painful and heartbreaking divorce, Bonnie Mayberry thought her life was over. The numbness, the disbelief in what had happened and the fear of what would come next ensured that her every thought was tinged with doubt. Hoping for a fresh start, she’s packed up, said her goodbyes and moved to the small town of Snow Ridge, New Hampshire. Settling down in an old, renovated farmhouse, she plans to focus on the simple things in life. And, in time, she is determined to get back to some semblance of normalcy. 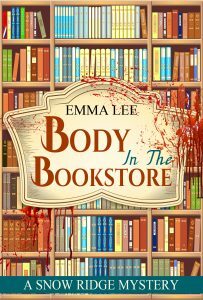 The young girl at the local bookstore Bonnie frequents has been murdered. She was one of the few with whom Bonnie has become friendly during her short time in town. And, whether it’s her mysterious past, her reserved nature or simply the relative ease in pinning the blame on the outsider, the police have Bonnie at the top of their list of suspects. Now, if she wishes to avoid a prison sentence for a crime she didn’t commit, it appears as if Bonnie is going to have to prove her own innocence. In doing so, she’ll uncover a crooked politician, unveil a hidden monster and unearth a web of secrets & lies that certain residents of the town have spent their lives concealing. And, with a little luck, she may just survive long enough to clear her good name. Plain & simply, I love a good whodunnit! I never imagined I'd be writing them myself one day but, when I decided to try my hand at penning a book, there was no question that it would be a mystery. I spend my days searching through real-life for people that would make good characters in a book. There is nothing more fun in my opinion!